Various screws/bolts/nuts/washers made to original dimensions for use on AJS/Matchless, BSA, Norton & Triumph motorcycles, arranged by part number. We have put in extensive research and belive this parts section to be as acurate or more accurate than any others currently available on the web currently. However we are only human and may have made mistakes or been given misleading information by others. If this is the case please contact us with what you believe to be the correct information so we can update this listing and if necessary replace any incorrect parts supplied by ourselves. Thank you to all who have cooperated with assistance in the past, present and with future cooperation. We have EXCELL spreadsheets with further part numbers that we need assistance in accuratly idntifying that we can email to you for your assistance. Your help in identification helps others and ourselves to make further parts available. If you have the original parts books giving the dimensional data of fastenings or original parts to hand that can be identified please DO NOT HESITATE TO CONTACT US FOR THE LISTINGS. REMEMBER HELPING US ALLOWS US TO HELP OTHERS TO EVERYONES MUTUAL BENEFIT, INFORMATION IS MEANT TO BE A SHARED COMMODITY. Prior to 1972 Triumph predominantly used a letter before the actual part number After this they changed to a numbering system. 14 prefix stays the same. Parts are normally manufactured for us to be used as replacement parts. 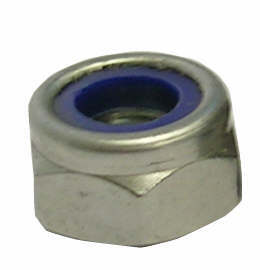 British Motorcycle Manufacturers did not originally use Stainless Fastenings, however we provide replacements that are dimensionally accurate to the originals.